The IRS and Treasury Department announced on Wednesday a tax break for vehicles purchased in states without sales tax. US taxpayers are already authorized to deduct new motor vehicle state, local or excise taxes paid. Now, the IRS will allow new car purchases made in states without sales tax to also qualify for a deduction. Alaska, Delaware, Hawaii, Montana, New Hampshire and Oregon do not have a car sales tax. Taxpayers who purchase a new vehicle in these states are entitled to deduct other fees or taxes imposed by the state or local government. The fees or taxes must be assessed on the purchase of the vehicle and must be based on the vehicle’s sales price or as a per unit fee. Vehicles purchased after 16 Feb 2009 and before 1 Jan 2010 qualify for this deduction. The deduction is limited to the fees or taxes paid on up to $49,500. The deduction is phased out for taxpayers with modified adjusted gross income between $125k and $135k for individual filers and between $250k and $260k for joint filers. 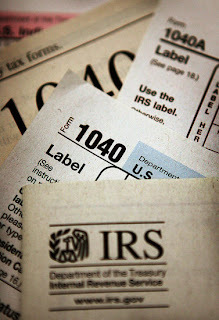 This deduction is available on 2009 tax returns regardless of whether or not you itemize deductions. Is this credit being extended like the new homebuyer credit? It seems like the govt, along with the cash for clunkers, wants to keep on giving away free money for new cards. A detroit-dc consipracy.